Cuba’s state-owned telecom Etecsa does not plan to lower its mobile phone plans, despite the fact that current rates are too high for most citizens. According to local daily Diario de Cuba, the firm currently charges 10 convertible pesos (US$10) per month for 20 hours of internet, while 50 hours cost 15 convertible pesos and 220 hours cost 60 convertible pesos. Additional hours cost 0.30 convertible pesos. These prices have been criticized as being too high, as the average working class Cuban has a monthly salary of around US$20. 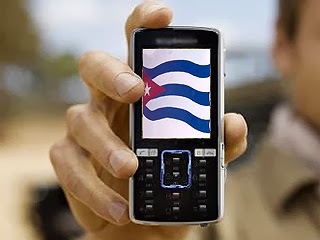 Luis Manuel Díaz, Etecsa communications director, told Cubanet.org that the telco has no plans to lower the rates, except for international calls. The telco expects to activate 800,000 new mobile lines and 30,000 landlines in 2015, according to Díaz, up 42% from 2014, when the company added 565,000 new mobile users. The island has 2.4mn active mobile accounts since Raúl Castro’s government lifted the ban on mobile lines in 2008. Cubans are allowed to register to up to three mobile lines since November.